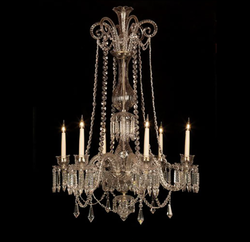 We offer to our clients a wide range of Crystal Chandeliers, which are manufactured from finest quality of crystals like Swarovski and Asfour, allowing us to bring out exquisite look in our chandeliers. Our clients can avail from us an enticing range of Florence Chandeliers for marriages, parties and interior decoration purposes. These chandeliers are made using quality material and are available in attractive patterns, beautiful designs & different sizes. 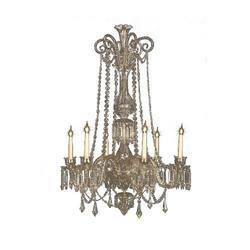 Our Florence Chandeliers are highly durable and are sure to enhance the beauty of the decor. We offer high quality of mother of pearl - chandelier.